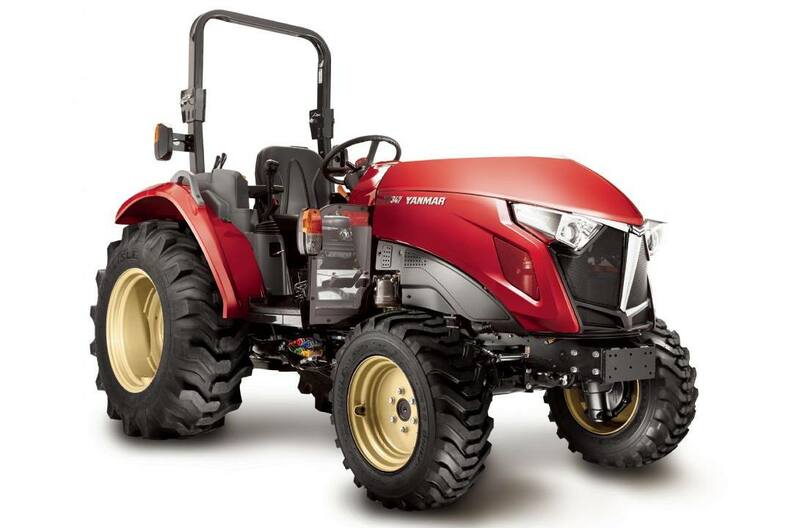 Looking for something that can handle larger and tougher tasks, look no further than the Yanmar YT347/347C. Comfortable and easy to operate, the YT347 utilizes advanced electronic controls and a Integrated Hydro Mechanical Transmission(i-HMT). When the job requires you to work regardless of the climate or weather conditions, the YT347C with a fully enclosed climate controlled cab is the choice for you, complete with a large LCD Display with integrated controls. Ag (R1) - Front: 8" - 16"
Ag (R1) - Rear: 14.9" - 24"
Industrial (R4) - Front: 10" - 16.5"
Industrial (R4) - Rear: 17.5" L - 24"
Turf (R3) - Front: 27" x 10.5" - 15"
Turf (R3) - Rear: 44" x 18" - 20"